I picked some free fruit and found some pre-picked free fruit at a community center two weeks ago. Now that the last of it is ripe enough, I’ve been making fruit leather. It’s a great way to preserve and use locally grown fruit. Since reading an article about cider vinegar recently, I am considering saving the peelings and cores. Have you ever made your own vinegar? I’d love to hear about the process. 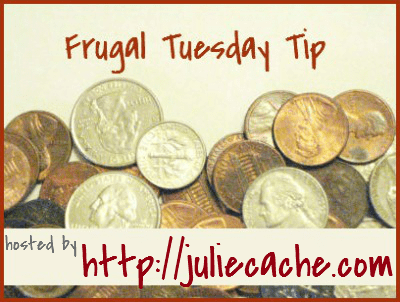 It’s time for the Frugal Tuesday Tip! Fruit leather? Will have to check out the post!